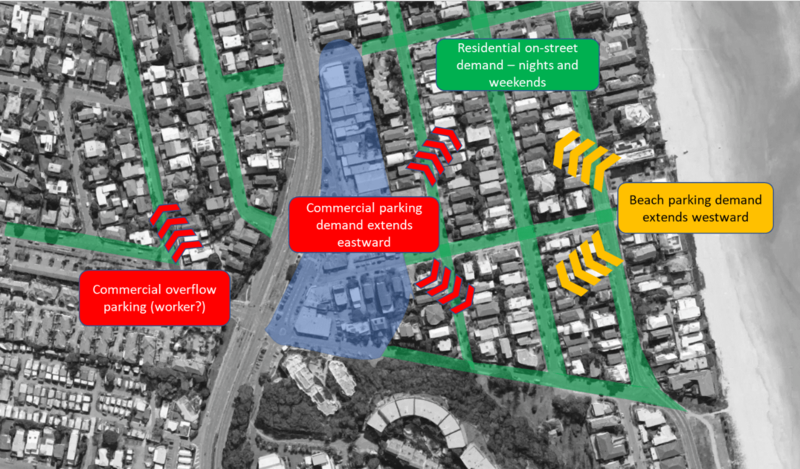 The City of Gold Coast commissioned Bitzios Consulting to undertake precinct parking plans for four activity centres on the Gold Coast (Coolangatta, Nobby Beach, Palm Beach and Mudgeeraba). The studies investigated each centres car parking demand, including the impact of overflow parking from the commercial areas. Parking inventory, occupancy and turnover surveys were conducted and analysed in each centre, for performance, functionality, benefits and impacts. Strategies and actions were developed for each centre, in consultation with the local community, to maximise the effectiveness of the available kerb-side and off-street parking in each precinct. These included, modifications to parking time limits (location and time), consolidating loading zones and re-locating special purpose parking to maximise their use and overall benefit for the precinct and end users.